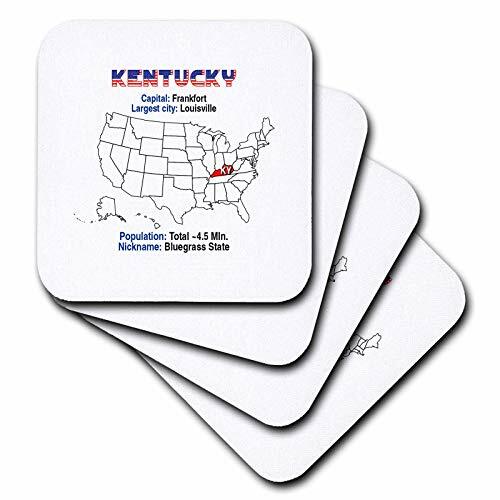 Kentucky state of the USA, American map, facts, compelling details Coaster is a great complement to any home décor. 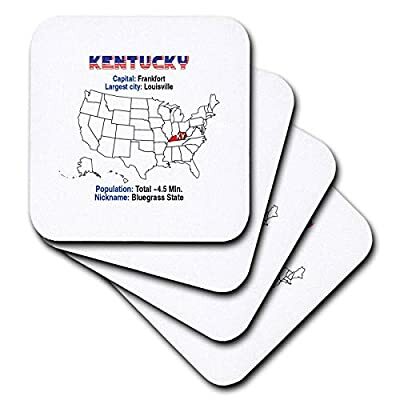 Soft coasters are 3.5" x 3.5", are absorbent, and can be washed. Ceramic coasters are 4.25" x 4.25", non absorbent and come with felt corner pads. Available in sets of 4 and 8.